Doctor's orders! 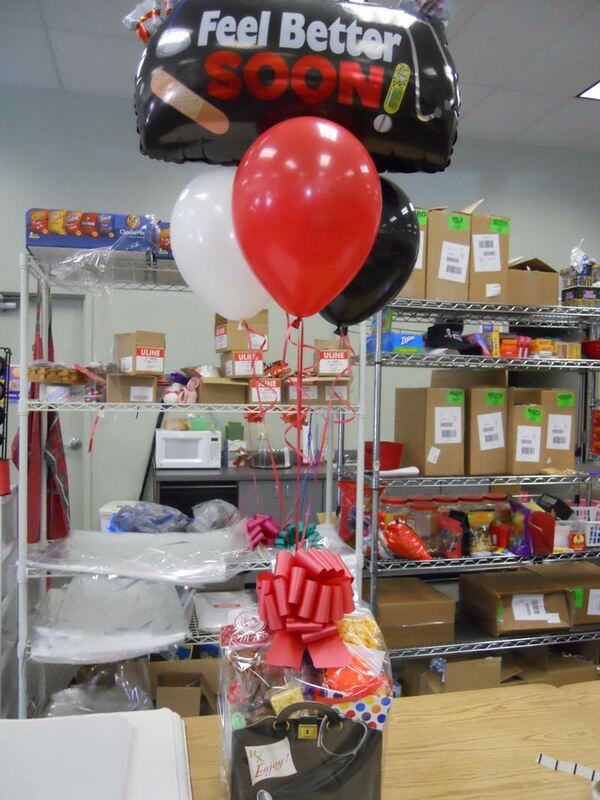 Relax and enjoy the goodie basket anchoring a wonderful balloon bouquet. The basket can be customized or trust us as we mix up some sweet and salty treats that anyone would enjoy. Includes 3 latex balloons and a super-shape get well balloon. Click the button below to add the Feel Better Soon Package to your wish list.